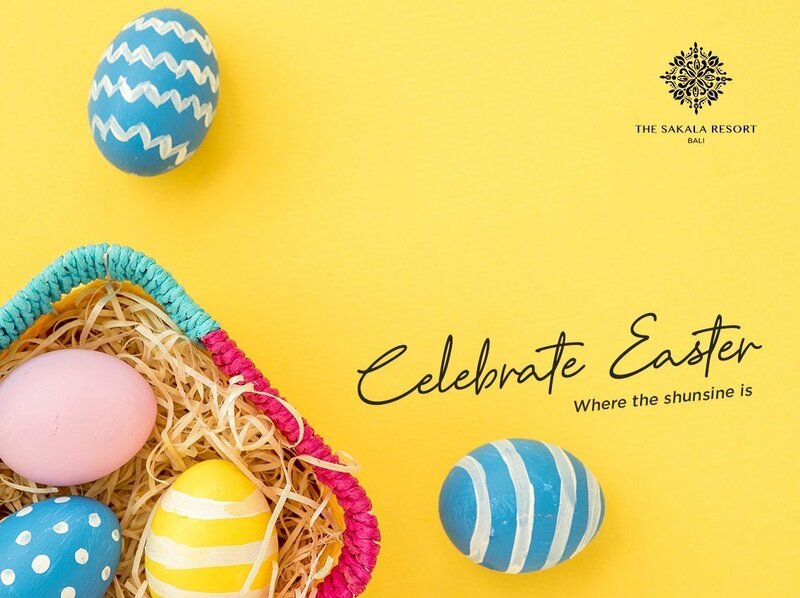 The Sakala Resort offers a fantastic holiday for couples and families in the special weekend Easter weekend. Located in Tanjung Benoa Peninsula well known for its water sport activities, The Sakala Resort Bali blends luxury and comfort in one experience. During the day, the 4-level gym, Wellness Spa, and Sakala Beach Club are awaiting to be explored. 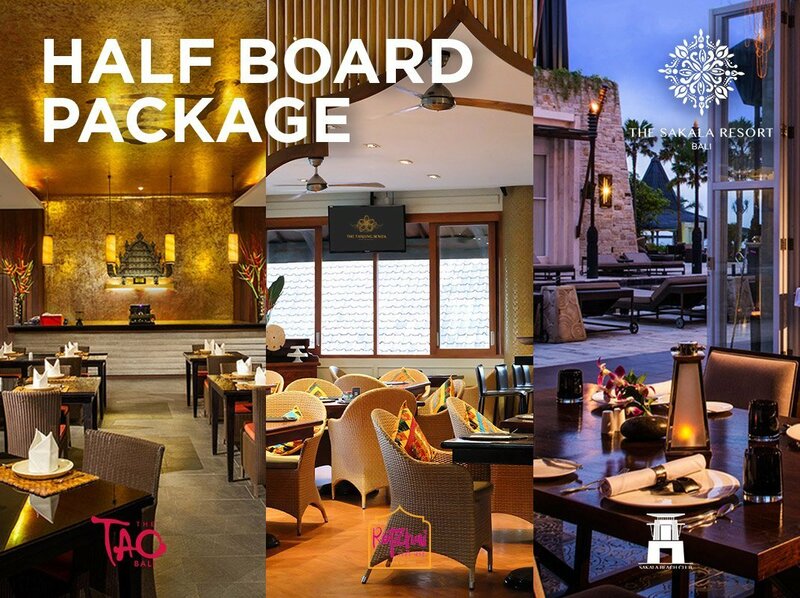 Take advantage of The Sakala Resort Bali HALF BOARD PACKAGE for a food safari experience in Bali getaway. Take advantage of The Sakala Resort Bali HALF BOARD PACKAGE for a food safari experience in Bali getaway. All you need to do is simply relax in this tropical paradise and dine around with three zesty crafted dining options during lunch or dinner—Sakala Beach Club or The TAO Bali as well RotiChai Bali at The Tanjung Benoa Beach Resort – Bali. Your other half deserves the nothing but the best. Embark on this romantic journey and have the time of your lives. 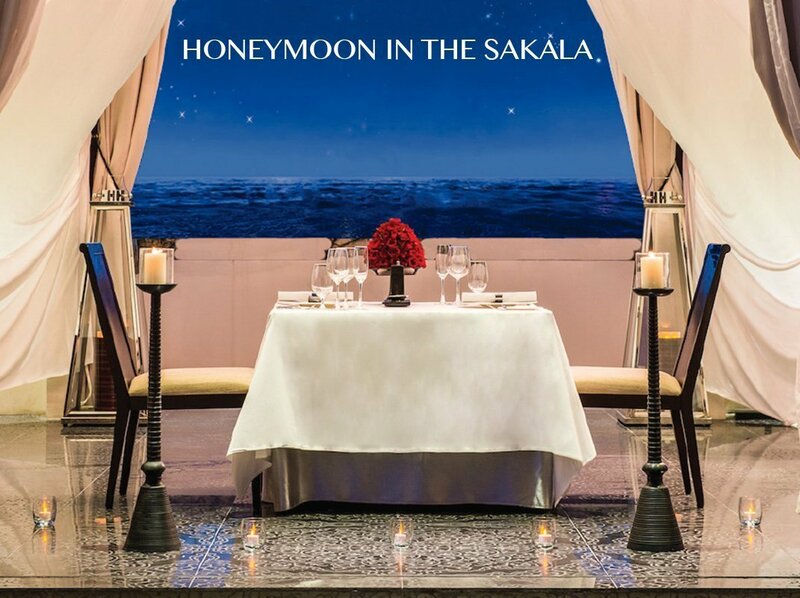 Book the Bali Honeymoon Package at The Sakala Resort Bali. 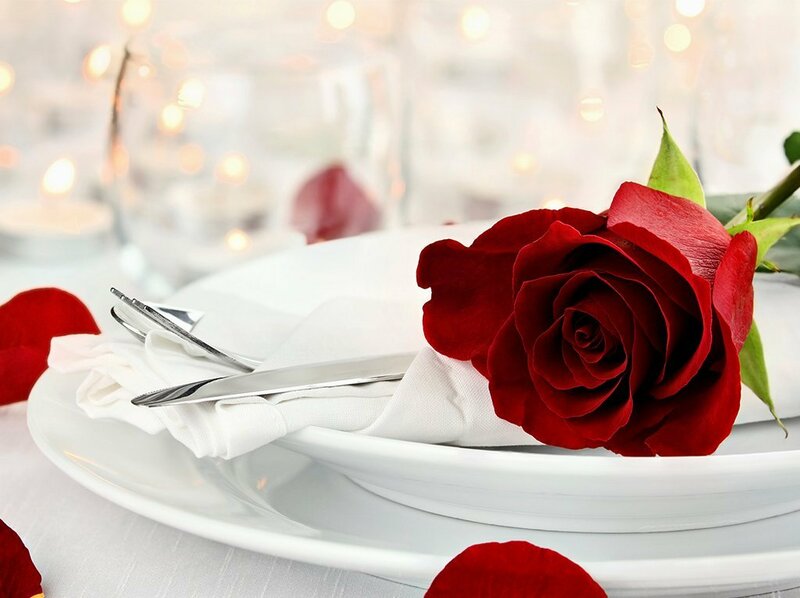 Please yourself and your loved one with all the exciting things we’ve got lined up for you! As you enter your suite, you’ll find a fascinating honeymoon setup along with a delicious cake. Your 3-day romantic getaway in paradise also includes a private candlelight dinner by the beach, a traditional Balinese couple massage, and a plethora of cultural activities to discover. Book for minimum 3 nights and indulge in up to 20% OFF from the Best Available Rate. Reserve the accommodation for minimum 5 night, save up to 25% and enjoy complimentary return airport transfer. Stay longer and get more benefits. 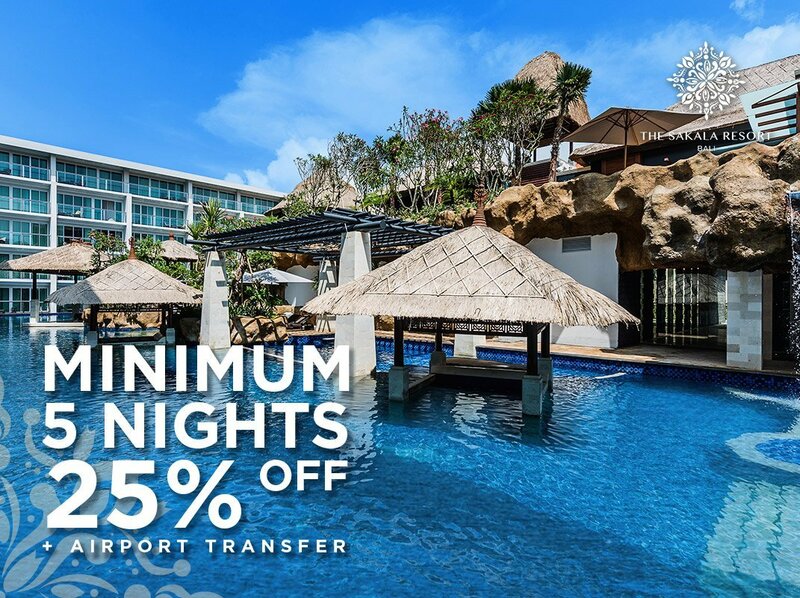 Reserve the accommodation for minimum 5 night, save up to 25% and enjoy complimentary return airport transfer. Valid for all room types, except for Lower Ground Suite and Deluxe Suite. 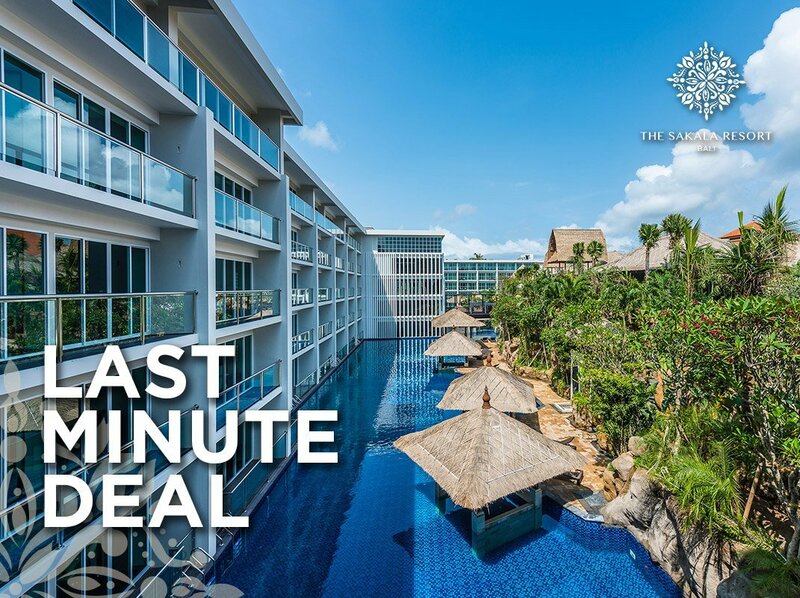 Take off to Bali right away with the Last Minute Deal. Book 7 days in advance and revel in an instant 15% discount from Best Available Rate. 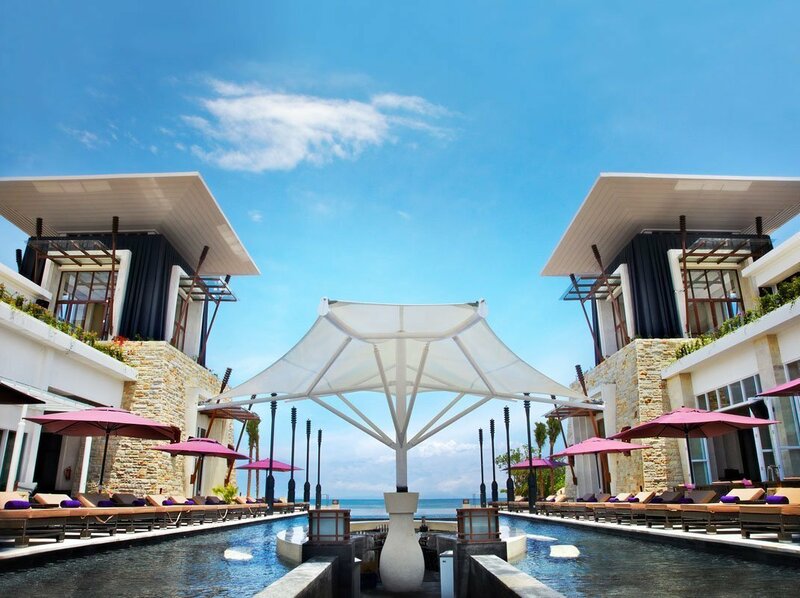 The Sakala Resort Bali offers the best Bali hotel deals for Indonesian residents and KITAS holders who wish to jump into a splendid getaway, right away. 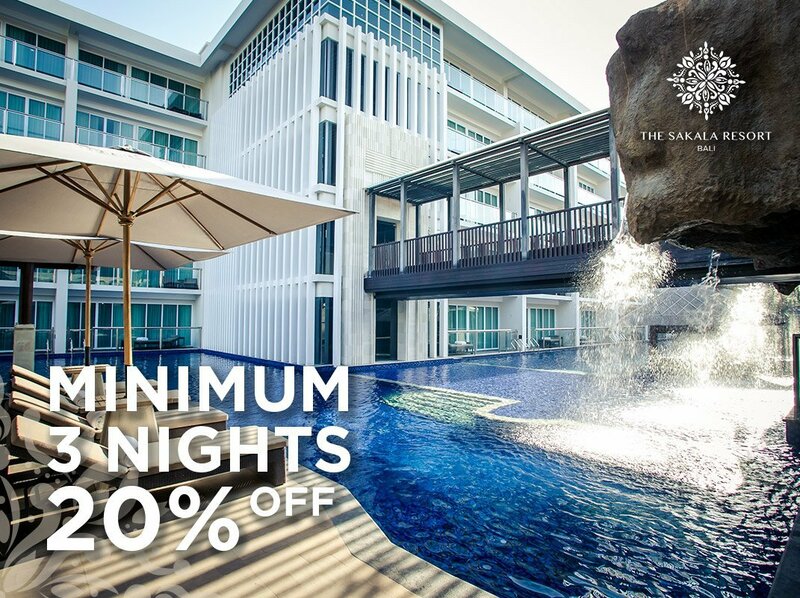 Book Indonesian Residence Rate for unbeatable rates at The Sakala Resort Bali! 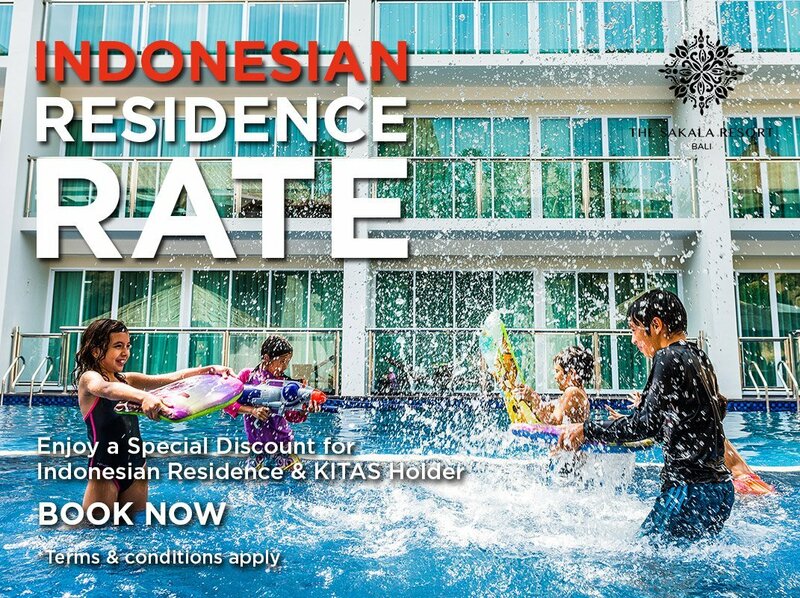 The best hotels offers the best Bali hotel deals for Indonesian residents and KITAS holders who wish to jump into a splendid getaway, right away. Take your family for feel a memorable vacation at The Sakala Resort Bali with range of facilities and activities. Family First is a package especially created for families who wish to make the best of their time together. Family time is not a matter of convenience. It’s a matter of priority. 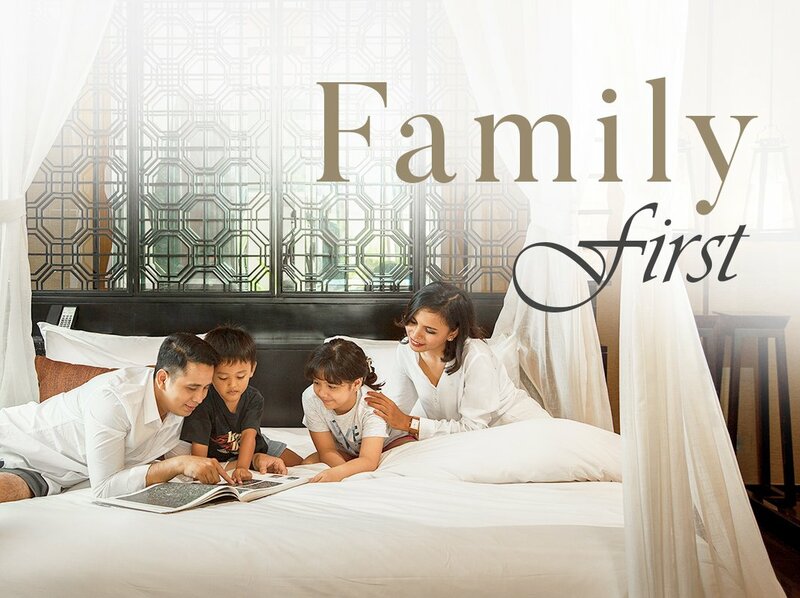 Family First is the best Bali family package for those who wish to spend a quality together. With the options of Two-Bedroom Suite and Two-Bedroom Villa, this is an excellent option for a family getaway. Lounge under the starry Tanjung Benoa beach sky on a perfect evening complemented with succulent barbecue. Lounge under the starry Tanjung Benoa beach sky on a perfect evening complemented with succulent barbecue, bountiful of scrumptious fresh-catches, and delicate desserts. 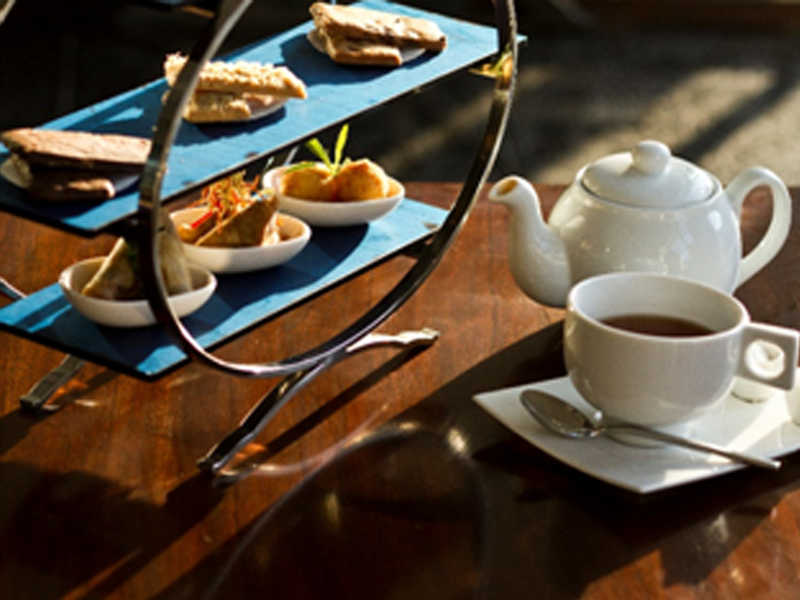 From 4:00 p.m. to 6:00 p.m.
Our afternoon tea is presented with 9 delicious assortments from finger sandwiches, a selection of pastries and a choice of dessert including freshly baked scones as well as fresh mountain strawberries from Bedugul, accompanied by your chic tea or coffee. 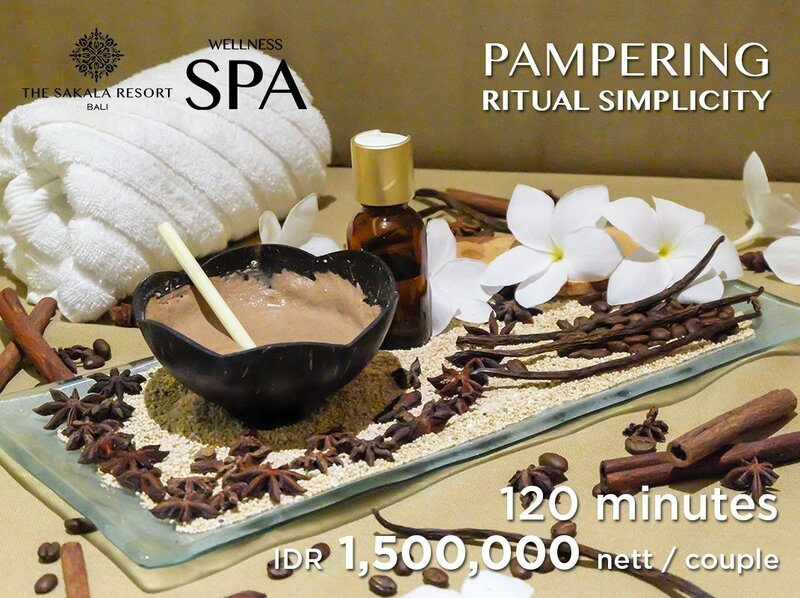 Pamper yourself with a luxurious exotic SPA experience during this month of April. 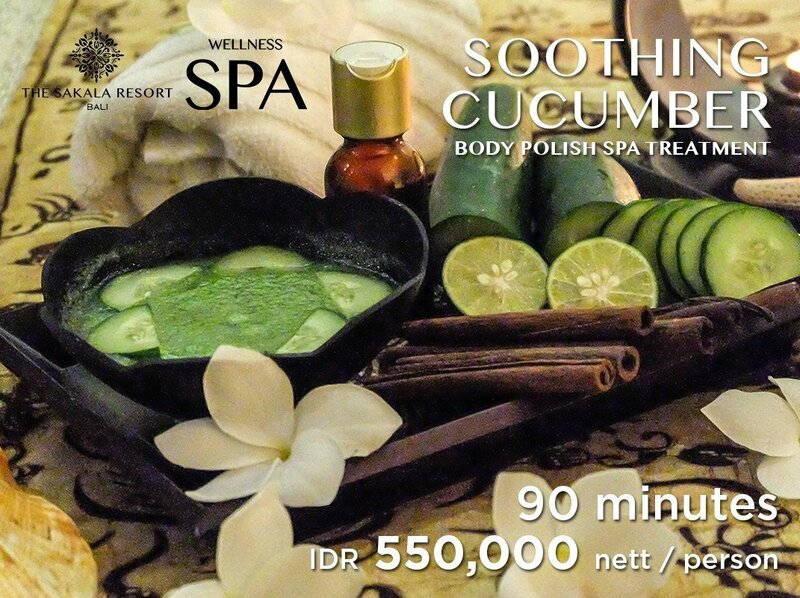 Combining a hydrating and refreshing cucumber formula for your ultimate beauty relaxation, this treatment specially created to nourish your skin stressed from the exposure of sun and heat. Get the best of body treatment by combining rejuvenating with hydrating and relaxing element of a body massage. Indulge in gratifying 30% OFF for selected pampering treatments at The Wellness Spa for a limited time. Rejuvenating time has come. Indulge in the best Bali spa deals from The Sakala Resort Bali. Delight in gratifying 30% OFF for selected pampering treatments at The Wellness Spa from 8.00 a.m. to 11.00 a.m. and 5.00 p.m. to 8.00 p.m. Guest cannot combine this promotion with any other promotion. Break away from the daily routines. 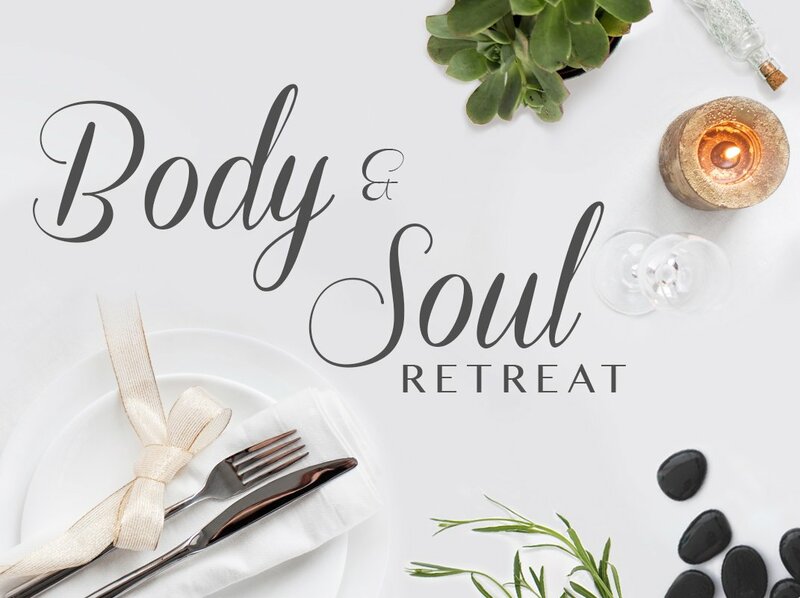 Reserve the Bali holiday package with the privileges to revel in a body and soul retreat. 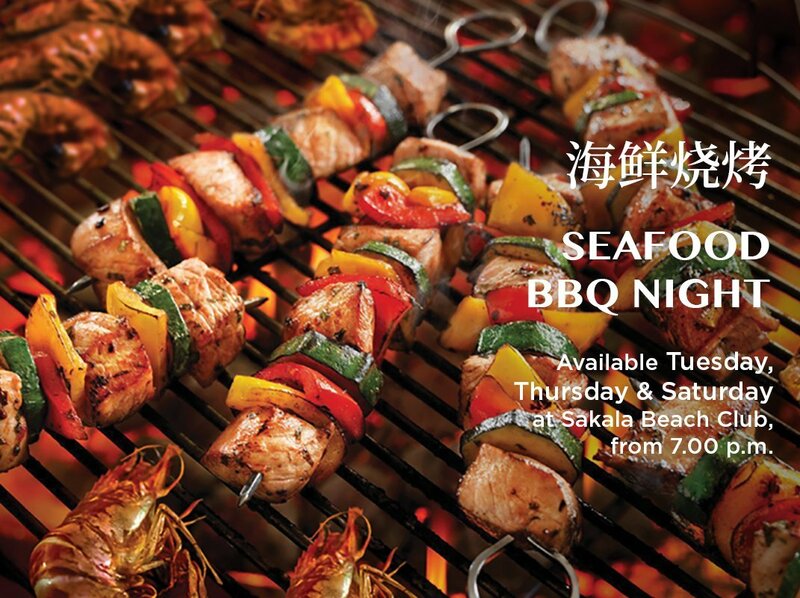 Indulge in one-hour spa treatment at The Wellness Spa and savor a sumptuous dinner at the upbeat Sakala Beach Club. In addition, enjoy the resort’s vast swimming pools and state-of-the-art health club for all-rounded Balinese experience. Our Spa team prepared the Birthday offer to welcome you on the Special Day of your Birthday. 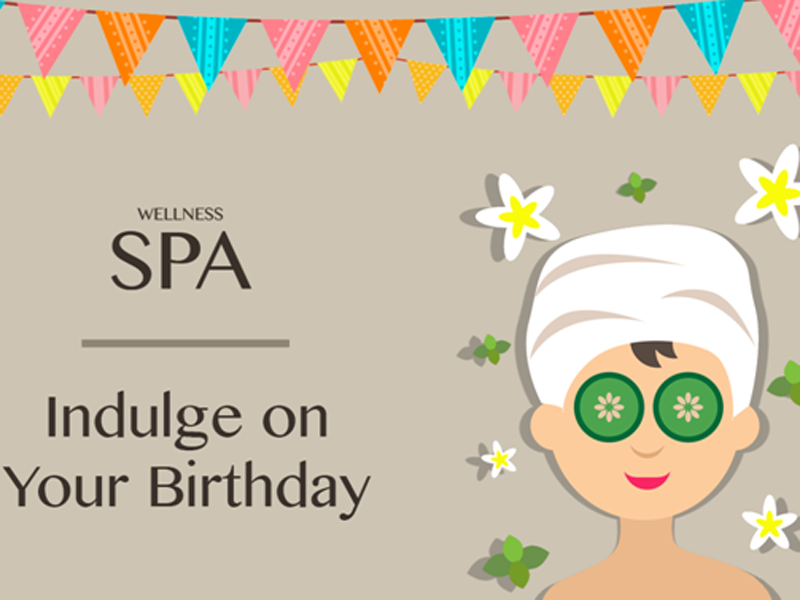 Get 20% discount for massage treatment, Make your birthday even more special for you! * You will need to show an ID with your birth date. Lose yourself in moments of tropical bliss by enjoying our DAY-CATION PACKAGE. Indulge in the captivating cruise journey to Nusa Penida powered by Quicksilver Cruise, The Jewel of Bali. 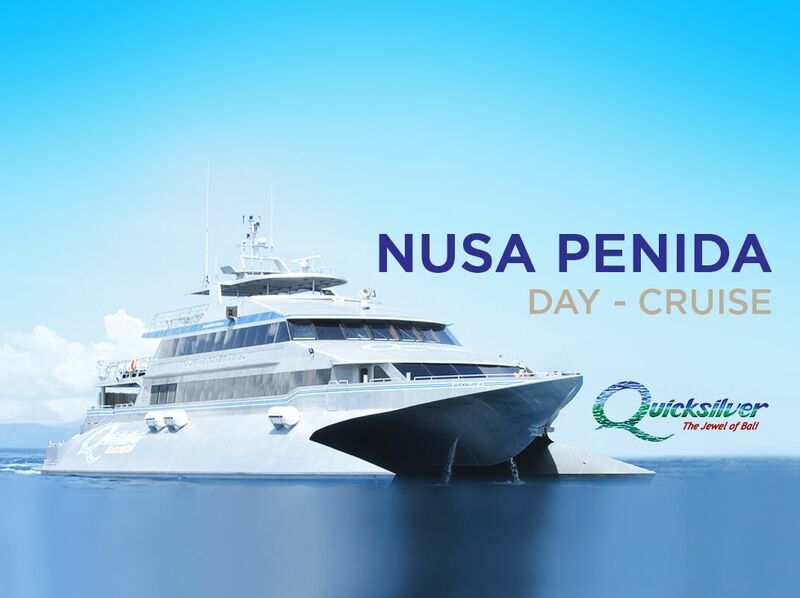 Depart in the morning from Tanjung Benoa Marina – Nusa Dua on the captivating Nusa Penida day trip powered by Quicksilver Cruise, The Jewel of Bali. Behold the majestic view of Nusa Ceningan before arriving at Toyapakeh Bay, Nusa Penida. Immerse in a series of impressive island activities, such as subsea, snorkeling, banana boat riding, waterslides, ocean water treatment and local village tour. To add to the delight, indulge in delectable tropical buffet lunch uniquely served on the pontoon while enjoying live band performance.